Leukoplakia is a predominantly white lesion of the oral mucosa that carries an increased risk of malignant transformation. (1) To provide insight into the difficulties in arriving at a proper diagnosis, (2) to evaluate the latest research on (bio) markers that may have predictive value with regard to the risk of malignant transformation, and (3) to evaluate the latest research on how patients with oral leukoplakia should be managed. Research on oral leukoplakia is still very much hampered, mainly because of the rather poor definition. No new (bio)markers have become available that reliably would predict malignant transformation. Surgical and nonsurgical treatments have still not yet been proven to be effective in preventing such transformation. Only after having solved the shortcomings in the definition and the lack of uniform reporting problem proper, randomized controlled studies on the various aspects of oral leukoplakia can be performed. The incidence of oral cancer, mainly consisting of squamous cell carcinomas, varies worldwide from less than three to seven or eight per 100,000 population. The diseases most frequently affect middle-aged and elderly people. Tobacco habits and alcohol consumption are the most important etiologic factors. Human papilloma virus plays a limited role in the etiology of oral cancer in contrast to its role in oropharyngeal cancer. Treatment consists of surgery with or without additional radiotherapy and chemotherapy. The survival rate very much depends on the stage of the disease at diagnosis. For all stages together, some 60% of patients will survive. Most, if not all, oral squamous cell carcinomas are preceded by clinically visible but otherwise often asymptomatic changes of the oral mucosa. Such changes are often predominantly white. Such potentially malignant or, as some prefer, potentially premalignant whitish lesions are designated as oral leukoplakias (Fig. 1). In a meeting supported by the World Health Organization, oral leukoplakia has been defined as “a predominantly white plaque of questionable risk having excluded (other) known diseases or disorders that carry no increased risk for cancer” . It has been added that leukoplakia is a clinical term and has no specific histology. In a recent report, a suggestion has been made to somewhat simplify the definition of leukoplakia into “a predominantly white, non-wipable lesion of the oral mucosa having excluded other well-defined predominantly white lesions clinically, histopathologically or by the use of other diagnostic aids . The estimated prevalence of oral leukoplakia is approximately 0.1%, but may vary in different parts of the world. There is no distinct gender preference. Oral leukoplakia mainly occurs above the age of 30–40 years and is much more common in smokers than in non-smokers. The possible etiologic role of alcohol is less clear than it is in the etiology of oral cancer. 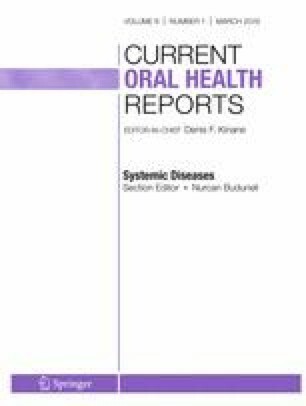 The reported annual risk of malignant transformation of oral leukoplakia varies in the numerous studies on this subject and range from 2 to 3% or even much higher. The cancer may develop at or near the site of the leukoplakia or elsewhere in the oral cavity and the head-and-neck area. There are many, statistically somewhat useful predictive factors of malignant transformation, such as the size of the lesion, the clinical subtype, the oral subsite, and the presence or absence of epithelial dysplasia, but these are not reliable for use in the individual patient. This also applies to the various molecular markers that have been reported in the past decades as possible predictive markers of malignant transformation [2, 3]. There is an ongoing debate in the literature as whether treatment of oral leukoplakia is effective in preventing malignant transformation. Based on the present definition, a diagnosis of leukoplakia is one by exclusion of known, well-defined lesions and disorders that may occur in the oral mucosa, as being listed in Table 1 . As a result of the WHO definition of oral leukoplakia, the accuracy of the clinical diagnosis largely depends on the experience of the clinician. Depending on the clinical presentation and in the absence of symptoms, it may then be justified to render a diagnosis of oral leukoplakia without taking a biopsy. Less-experienced clinicians are advised to refer the patient either to a more experienced clinician or to take a biopsy in order to rule out any known, well-defined disease and also to report the possible presence and degree of epithelial dysplasia or even carcinoma (in situ). It should be recognized that in large or multiple oral leukoplakias an incisional biopsy may not be representative for the entire lesion . Furthermore, even in biopsied whitish lesions, the final diagnosis of oral leukoplakia may remain questionable, for instance in some cases of lichen planus. At present, there are no molecular markers or set of markers that would more accurately result in a proper diagnosis of oral leukoplakia. History of prolonged application of aspirin tablets or other chemical agents; the histopathology is not diagnostic. Somewhat questionable entity; some refer to this lesion a candida-associated leukoplakia. Usually bilateral on the borders of the tongue; histopathology is important, including the immunohistochemical demonstration of the presence of EBV. Different etiologies and various clinical presentations; in many cases the taking of a biopsy is indicated. Some of the keratotic lesions carry an increased risk of malignant transformation. Disappearance of the lesion within an arbitrarily chosen period of 2–3 months after removal of the restoration; the taking of a pretreatment biopsy is recommended. Often a clinical diagnosis; the non-reticular types such as erosive and plaque types may occasionally be difficult to distinguish from leukoplakia even when biopsied. The diagnosis should be supported by a biopsy. Often a clinical diagnosis; almost always cutaneous involvement as well. Histopathology and direct immunofluorescence may be helpful. Clinical aspect; medical history. A biopsy may be helpful including HPV typing. Usually a clinical diagnosis. Rarely becomes malignant. Regresses after cessation of the smoking habit. Medical history; clinical aspect. Demonstration of T. pallidum; serology. Young age; often family history. The clinical aspect is more or less diagnostic. Occasionally a biopsy may be helpful. The histopathological findings in oral leukoplakia range from hyperkeratosis without epithelial dysplasia to various degrees of epithelial dysplasia. It is well recognized that the assessment of epithelial dysplasia carries some degree of subjectivity. In the event of the presence of carcinoma in situ, frank squamous cell carcinoma and verrucous carcinoma, the clinical diagnosis of oral leukoplakia is replaced by the histopathological one. Absence of epithelial dysplasia does not disqualify oral leukoplakia as being a potentially (pre)malignant lesion, although the risk of malignant transformation of such leukoplakias is in most studies much lower than in case of the presence of epithelial dysplasia. Ideally, a diagnosis of oral leukoplakia should be the result of close collaboration between clinicians and pathologists, at least when a biopsy or surgical specimen is available. In daily practice, however, such collaboration probably has limited added value due to the lack of histopathological experience among clinicians and the lack of clinical experience among pathologists. Nevertheless, the clinician should provide the proper clinical information- one may question what the relevant information in case of suspected oral leukoplakia actually is- and should come up with a differential diagnosis, if applicable for the pathologist. In addition, the clinician should clearly specify what information he is looking for, e.g., the presence of epithelial dysplasia, since this may, right or wrong, influence the further management of the patient. On the other hand, the pathologist should properly answer the questions raised by the clinician and should report findings in a way that can be understood by the clinician. It is recommended to explicitly divide the pathologists’ report in two parts, being one part that is used only for description and evaluation of the histopathological and, if applicable, immunohistochemical findings. Cessation of tobacco habits, if present, may result in regression or even disappearance of the lesion. Spontaneous regression of oral leukoplakia is rare. In persistent cases, treatment of oral leukoplakia has traditionally consisted of surgical removal, if feasible. In the meantime, many other treatment modalities have arisen such as cryosurgery, laser treatment, either by CO2 evaporation of excision, and various nonsurgical treatment modalities such as application of retinoids, beta-carotene, vitamin C supplements, bleomycin, and 5-fluorouracil. More recently, photodynamic therapy, using either topical or systemic administration of a photosensitizer, has been added to the vast realm of treatment options. Some of the nonsurgical treatments have to be used continuously and may carry serious side effects. Independent of the type of treatment local recurrences may occur and new oral leukoplakias may arise elsewhere in the oral cavity and none of the treatment modalities seem to reduce the risk of malignant transformation . Some authors have raised the question whether surgical removal of oral leukoplakias may actually carry an increased risk of cancer development . Yet in another study, it has been shown that cessation of tobacco habits after surgical removal of oral leukoplakia reduces the risk of malignant transformation . In general, lifelong follow-up visits are advised both in treated and untreated patients. The recommended time interval as reported in the literature varies from several months up to 1 year. However, there are no studies that show the effectiveness of such follow-up protocol with regard to a better survival in case of malignant transformation, compared with a protocol in which patients refer themselves in case of symptoms, being the main indication of unfavorable changes. How to inform a patient who has a leukoplakia? Most patients will not be interested to listen to an academic lecture by their doctor on the various aspects of oral leukoplakia but, instead, they want to be informed in an understandable way particularly when it comes to the further management. In solitary, small lesions, e.g., less than 2–3 cm, one may recommend to perform an excisional biopsy primarily because of histopathological evaluation and also for reassurance of the patient. The patient should be informed that the leukoplakia may recur within a period varying from some weeks, months, or several years. They also should know that the risk of oral cancer development may not be eliminated by the excision. Although the efficacy of follow-up visits has never been shown, it seems preferable to offer such visits, mainly for reassurance of the patient. In larger or multiple leukoplakias, a more balanced discussion with the patients is required. The increased morbidity in such instances should be properly weighted against the expected benefit of the treatment. In large, diffuse or multiple oral leukoplakias, one may choose to perform an “excisional” biopsy of the clinically most suspected area only, if present, or to perform multiple biopsies (mapping). In any case, the patient should play an important role in this shared decision taking. Some will prefer not to have active treatment while others persist to be treated, even in case of extensive or multiple oral leukoplakias. A similar divergence in opinion may arise in case of recurrence. Some patients do not want to undergo treatment again, while others insist on retreatment. In the past decades, much of the research on oral leukoplakia has been focused on the possible predictive value of malignant transformation looking for a wide range of molecular markers. Another important issue relates to the effectiveness of the various surgical and nonsurgical treatment modalities. Unfortunately, rather little progress has been made and most of the publications end by saying that more research is needed, using larger study populations, being of a prospective nature, preferably performed on a multi-institutional and international scale [2, 3]. However, at present, such studies do not seem to be feasible for various reasons. Probably, the main limitation consists of the rather poor definition of oral leukoplakia, including the various so-called keratoses. To solve this problem, one should first arrange an international, widely accepted consensus meeting on the definition. In future studies, one probably should require to have each included leukoplakic lesion to be photographed, while these pictures should be evaluated by a panel of independent, experienced clinicians for the correctness of the original clinical diagnosis. Likewise, all biopsies and resection specimens, if available, should be re-evaluated by independent, experienced (oral) pathologists for the correctness of the original histopathological assessment. Furthermore, a classification and staging system should be used, taking into account the size of the oral leukoplakia and the absence and presence of epithelial dysplasia and perhaps also the oral subsite . The various treatment modalities and the results should be documented in a reproducible way; this also applies to the follow-up system. In Table 2, a proposal for uniform reporting is presented, being a modification of how results of cancer treatment have been reported . The issue of non-treatment, just observation, is another complex issue both ethically and legally. Other possibly important parameters that should be documented relate to tobacco habits and the use of alcohol. Gender and age may be taken into account in this type of studies as well. It seems hardly possible to organize prospective, multi-institutional, and internationally oriented studies on the various aspects of oral leukoplakia, also in view of the large number of patients that would have to be included in order to apply proper statistical calculations. In the future, progress may come, unexpectedly, from basic research in the field of (oral) carcinogenesis, not necessarily being based on large study populations. Mainly due to the poor present definition of oral leukoplakia, hardly any progress has been made in the recent years with regard to the search for reliable predictive markers of malignant transformation. For the same reason and also because of lack of uniform reporting treatment, results cannot be reliably evaluated. Given these shortcomings, there is a strong need for an international consensus meeting to improve the present definition of oral leukoplakia and to agree on uniform reporting of treatment results.